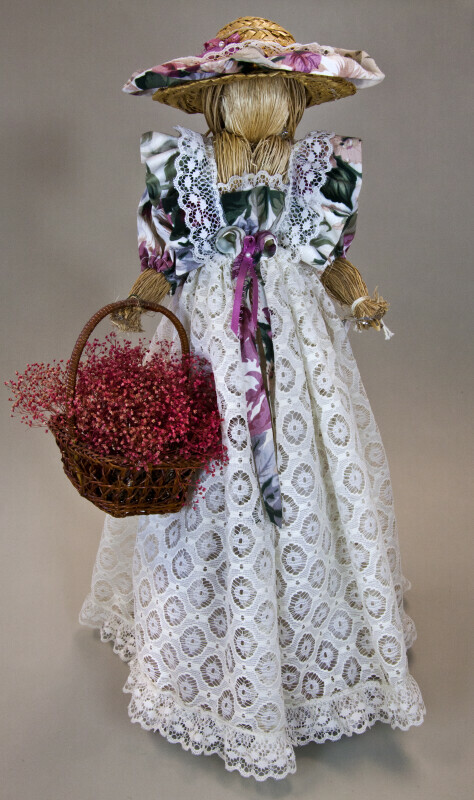 Female doll with body made from straw. She has a pinafore-style dress with a lace skirt. The bodice is a flowery print, which also serves a the lining for the straw hat on her head. She is holding a straw basket filled with colorful straw flowers. Tag: "The Never-ending Craft Shop and Dimensions Gallery." The figure stands 20 inches (50 cm) tall.